For the past several months we have been pursuing cases where diabetic patients using the drug Actos have been diagnosed with bladder cancer. Actos (drug name Pioglitazone) is a drug used to treat Type II diabetes and also sold in such variations as Actoplus MET, Actoplus MET XR, and Duetact. Takeda Pharmaceuticals, a Japanese-based multibillion-dollar pharmaceutical company, introduced the drug in 1999. Less than a decade later, Actos become a blockbuster drug in the top ten best selling drugs in the United States. Before Actos was released onto the market, rodent studies indicated a higher incidence of bladder tumors in male rats on Actos. 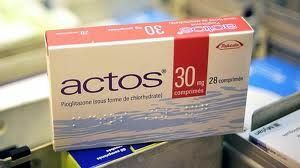 After Actos was released, human studies confirmed this increased risk of bladder cancer in the human population. The Actos label contained no warning of bladder cancer risk until recent FDA activity required such a warning. We have started taking cases against Takeda and other entities responsible for producing this drug and expect to file cases in the upcoming months. Litigation is relatively new, with federal filings in multiple jurisdictions and state court filings in Illinois. On December 1st, the Judicial Panel for Multidistrict Litigation (J.P.M.L.) heard arguments regarding the creation and placement of an Actos MDL. We expect to hear a result from the J.P.M.L. soon. For more information about these cases, please call us at 800-793-4816. Whatever the cause of your personal injury, don’t let your suffering be compounded by getting taken advantage of by a big corporation or an insurance company that wants to deprive you of your rights and of the compensation you deserve. You are not alone! The attorneys of The Moody Law Firm, Inc.are licensed in eight different states and have vast experience in virtually all areas of personal injury law.